Founded in 1980, Carrollton Cycling Club serves as a recreational cycling club that promotes health, wellness and fitness within the community. 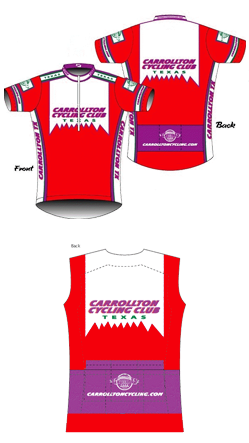 With more than 100 members, Carrollton Cycling is one of the premier bicycling clubs in North Texas. The members are people like you who ride bicycles for recreation, fitness and sport. The club has riders of all skill levels. We offer several types of regularly scheduled rides, so you can choose the ride that best suits your riding skill. We provide our members an opportunity to enjoy road cycling in a friendly atmosphere and to participate in local, regional and national road cycling activities. We respect and encourage cyclists of all ages and ability levels to join us. Check out our Ride Leader Guidelines for safe riding.